“The darkness still loomed around him, but there was a quietness that overcame him. A brief hundredth of a second, a peculiar whizzing noise filled Roger’s ears and then a brutal blow struck his head and knocked him off his feet. With a ringing in his head and a groggy consciousness, he tried to sit up but more savage blows pummeled his body. It sounded as if a tree splintered just before it fell in the forest. His breath caught in his lungs. Everything went dark. Jennifer Chase is a multi award-winning and best-selling crime fiction author, as well as a consulting criminologist. Jennifer holds a bachelor degree in police forensics and a master's degree in criminology & criminal justice. These academic pursuits developed out of her curiosity about the criminal mind as well as from her own experience with a violent sociopath, providing Jennifer with deep personal investment in every story she tells. In addition, she holds certifications in serial crime and criminal profiling. She is an affiliate member of the International Association of Forensic Criminologists, and member of the International Thriller Writers. 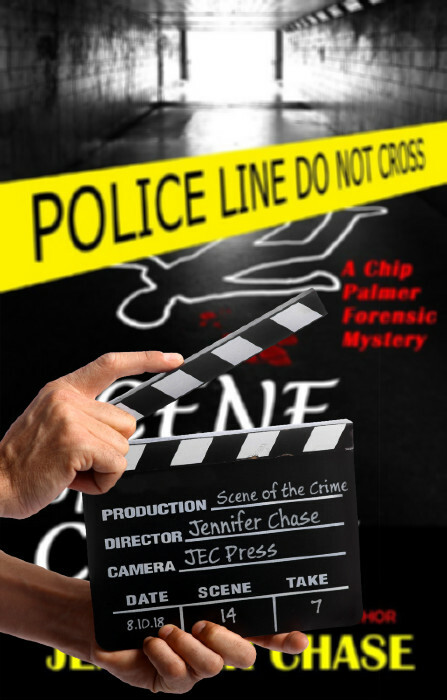 Her latest book is Scene of the Crime, Book 2 in the Palmer Forensic Mystery series. Welcome Jennifer! Can we begin by having you tell us how you got started writing mysteries? Did the movies influence you? Books? 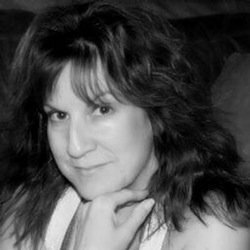 Jennifer: Books, movies, news headlines, true crime stories have all inspired my writing. I’ve loved books ever since I was old enough to appreciate the amazing stories at the library. Mysteries have a special place for me. I love puzzles, forensic evidence, and the delicate balance of the human psyche of what makes a person do the things they do. I’ve always written stories and screenplays, but it was not until 2008 did I chose to write novels professionally and I have not looked back. Do you find writing mysteries comes natural to you or did you struggle sometimes? Jennifer: I think when you love something, it comes a bit more easily and you don’t have to fight as hard. I have more ideas than I could ever write in a lifetime. It’s difficult to turn off the writer’s brain sometimes. These ideas come to me when I’m basically anywhere, running errands, exercising, driving, and even in the shower. Do you think someone could be a writer if they don’t feel emotions strongly? Jennifer: Anyone can write. You have to sit down with something to say and convey it to the reader. But, I do feel that you have to understand emotions, not necessarily feel all of them in order to express emotions in your characters that readers will respond to. It helps, for example, that if you’ve felt great loss or extreme fear at some time in your life to write those strong emotions with conviction. Jennifer: That’s a very interesting question. The way I see it, at least for me, is that it’s the ultimate expression to tell a story and have your readers experience an incredible journey understanding what you’re trying to express. My first novel, Compulsion, was actually similar to therapy for me as I wrote it. I had experienced a violent psychopath neighbor, so being able to write through my stress and experiences was very liberating. How hard is it to establish and maintain a career in fiction writing? Jennifer: It’s a difficult balancing act. I don’t mean to sound pessimistic, but it is challenging field because there’s no sure thing in this career. There are definite successful levels that you can achieve, such as a best seller and award winner, but that doesn’t mean you’ve now have it made. Every book you write there is always some type challenge you must meet and overcome. Can you tell us a little about the main characters of your book, Scene of the Crime? Jennifer: Taunting the police and orchestrating killer hit squads, The Slayer is the ultimate puppet master. He believes that he has discovered the recipe for the perfect murder. Dr. Chip Palmer, a reclusive forensic expert, joins DA Inspector Kate Rawlins, together they are reunited as a team to sort through the crime scene aftermath in search of the truth—leaving them vulnerable and fighting to stay alive. But that still doesn’t stop the sparks to ignite between them. What was the hardest scene to write? Jennifer: With my background in criminology and profiling, most would think that writing from the mind of a serial killer would be easy. To some degree it is for me, but it takes the most energy and effort to create the killer in a way that doesn’t seem contrived and superficial. I make sure that I put aside enough time with breaks to complete this part of the book. They say all books of fiction have at least one pivotal point when the reader just can’t put the book down. 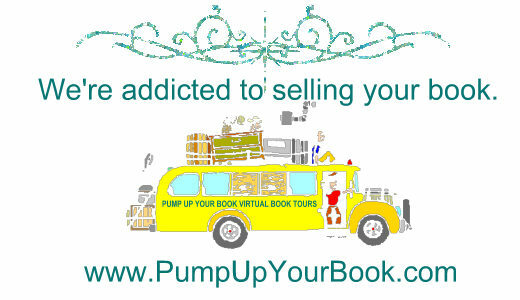 Can you give us one of those pivotal points in your book? Jennifer: Without giving anything away, there will be someone within the underdog team that will be kidnapped and you’re not going to see it coming. Everything changes from that point on for the characters. Will there be a follow up book to Scene of the Crime or other books in the near future? Jennifer: Absolutely. I love creating mysteries for Dr. Chip Palmer to solve. Evidence of the Crime will be out early 2019. In addition, Dark Lies from the Emily Stone Thriller Series will be out this fall. Thank you so much for the interview!